Below are details of this season’s 6-Nations HOME International Matches. Application forms will not be sent out to members. Please download and print this form, indicate in the spaces below the tickets you wish to order, and IMMEDIATELY return the completed tear-off portion, together with your appropriate payment. 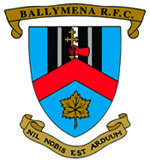 Cheques should be made payable to Ballymena RFC.